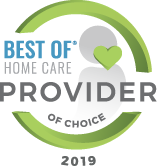 As a locally founded and operated home care provider with deep family roots in the southeast Texas communities we serve, Montebello Home Care of Beaumont has earned its reputation as a trusted care partner to older adults and their loved ones since 2013. Our dedicated care professionals provide the highest quality home health care Orange TX seniors need and deserve. Serving others is what we do best! 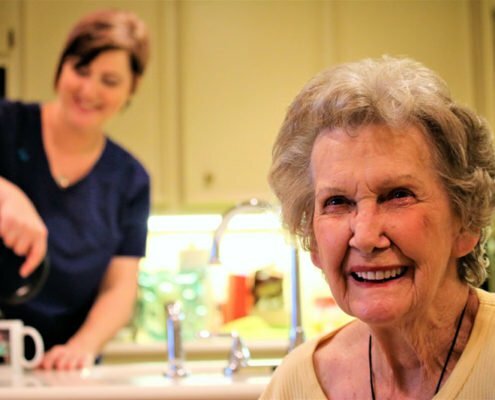 Our devoted caregivers provide a wide range of Beaumont home health services to help our clients remain safe, satisfied, and independent. We’ve earned the highest achievable home care client and caregiver satisfaction ratings as measured by a leading provider of customer experience measurement. 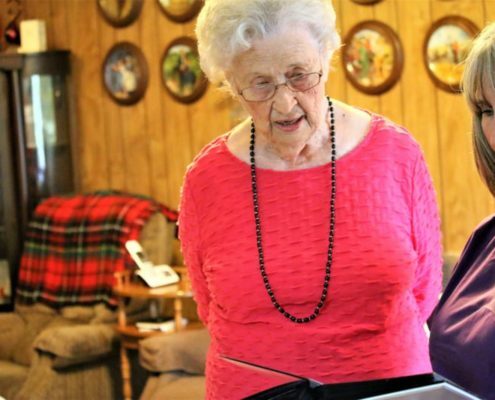 We thoroughly screen and hand select each caregiver we hire and provide ongoing caregiver training programs to encourage service excellence and care confidence. We are completely confident in the care my mom receives from Montebello Home Care. When faced with an upcoming surgery and long recovery myself, I knew I would not be in a position to care for my mom on a regular basis. During our initial meeting, our family was impressed with the sincerity, kindness and professionalism of the owner. Our caregiver has the patience of a saint, which is required when working closely with someone with dementia. My mom feels she has a friend she can depend on and trust. I honestly cannot remember who referred us to Montebello Home Care, but I would hug them if I could! My husband was in such bad health due to advanced diabetes and heart problems. At our age, it had become so difficult to take care of even his basic needs that we knew we needed help. When Montebello Home Care came to our home, he got much better care and I was able to rest more often. All of the caregivers were extremely friendly, loving, and a huge help to us. Montebello Home Care has my recommendation. Thank you all for making his last days better for our whole family. He looked forward to all of the visits and so did I. About 3 years ago I decided I needed regular weekly help, and my niece recommended Montebello Home Care. I think they found the best person possible. My caregiver is wonderful and always knows what to do. Her work is excellent. Thanks to Montebello Home Care I got a good helper and friend. I am very pleased. My 90 year old father had been in the hospital for more than a month and was in rehab. I had been staying with him but needed to take care of some business for a couple of days. I needed someone I trusted and he would be comfortable with. I had used Montebello Home Care once before for him at his home and was very happy with the help and kindness that both he and I had received from Eileen, who helped set Dad up with wonderful and caring ladies. Both were excellent. Montebello Home Care gave me the peace of mind knowing that my dad would be well looked after by them. I was able to take care of business and not worry about my dad. Montebello Home Care is a very caring group of people. They are extremely efficient, punctual, and they will work with you until you are happy. I am so proud of my husband, Mark, and his exceptional team! I witness firsthand the hard work and many hours put in by Mark, the office team, and the caregivers to give the best service and care possible to those needing help around the house, getting to doctors’ appointments, etc. If you are looking for a home care company you can trust with your loved ones, please consider Montebello Home Care. Montebello Home Care is fantastic! Mark Montebello and his staff are committed to excellence and strive to satisfy each and every client. 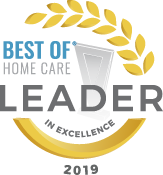 I currently employ Montebello Home Care to care for my mom and I can’t say enough to express how happy and satisfied I am with the care and the quality of the caregivers. They take the time to match the client with the perfect caregiver for the client’s needs. I am totally satisfied with the level of care provided by the caregivers. I would highly recommend Montebello Home Care to anyone needing affordable, superior quality care for their loved ones. Thank you for your help and professional manner. Meeting the caregivers before service is rendered put us at ease. An extra special thanks for attending to an emergency care need and promptly getting us help. We needed a male professional to bathe my father-in-law. Everyone involved with Montebello Home Care was completely on board with everything we needed and continues to provide us with anything we ask for on our terms. I wouldn’t even think of using any other service. Glad we finally found Montebello Home Care. My husband had to come home with hospice but I needed help. I have back trouble so Michelle was a tremendous help and quite qualified. Eileen was helpful and I knew her from working at Baptist Hospital. I could not have done it without Montebello Home Care. I would recommend this company to anyone! They did a great job taking care of my mom when I had to go out of town for a weekend! It reassured me that she would be looked after and would have some company while I was gone. When you’re searching for someone to provide care for a loved one, the most important thing to consider is are they trustworthy? Mark puts your loved one’s needs above everything else and you can trust that they are the best company for the job. If you’re looking for the best care available, look no further. I was diagnosed with rheumatoid arthritis and pulmonary fibrosis and needed help at home and someone to drive me to appointments since I am on oxygen 24/7. My caregiver cooks and cleans and is a big help! I would recommend your service to others. Thanks to Montebello Home Care, I had time off to run errands that I needed to do and a lot of house work got done. I would give Montebello Home Care high praise on all that you do! I needed someone to sit with my bedridden brother to allow my husband and myself to make doctors’ appointments. Montebello Home Care has always been courteous, prompt, and filled our needs. I would highly recommend them. I have already mentioned them to other healthcare companies and several of my friends who will need them in the future. I have been extremely satisfied with their professionalism and the quality of their services!